At Totalmed Transcription, we offer medical transcription services at a very competitive rate of 6 cents per line. There is no startup or hidden charges. We charge for medical transcription by calculating the number of keystrokes in a document and dividing it by 65 to derive the line count. Since we charge only for what is actually typed, aspects such as the font, font size, and the number of pages do not matter. This is the fairest method of charging in the industry. 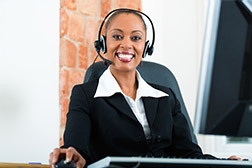 We bill for medical transcription services at the end of each month. Invoices are emailed in the first week of the subsequent month along with a detailed statement that contains individual line counts for every file transcribed during the month. We require payments to be made within 15 days of receiving the invoice. Payments can be made by PayPal, checks or bank transfers.